We’re going to do something a little different this week. Here is a guest blog from my friend and colleague David Witt, marketing program director at The Ken Blanchard Companies. David was the catalyst behind our Servant Leadership in Action Livecast that was broadcast online last week to more than 3,200 viewers. Read on for more information about the livecast as well as our new book, Servant Leadership in Action (which launched this week), including a link so that you can view the livecast for free at your convenience if you missed seeing it. In a recent Servant Leadership in Action Livecast, over 3,200 leadership, learning, and talent development professionals had an opportunity to hear from 20 of the contributing authors in a new book co-edited by Ken Blanchard and Renee Broadwell. The book, Servant Leadership in Action: How You Can Achieve Great Relationships and Results, features 44 short articles that take a fresh look at servant leadership principles and how they can be applied in today’s organizations. The recent Livecast explored five of the six main sections of the book. In section one, Fundamentals of Servant Leadership, viewers heard from Mark Sanborn, Jon Gordon, Jim Kouzes, and Holly Culhane on the origins of servant leadership, how to apply it at work and home, and what the role of a leader is in today’s work environment. In section two, Elements of Servant Leadership, viewers watched short videos from Jim Dittmar, Stephen M. R. Covey, Neal Nybo, and Mark Miller on the key behavior traits of servant leaders, the role of trust, personality challenges, and how to get started. In section three, Lessons in Servant Leadership, viewers saw Tom Mullins, Shirley Bullard, Art Barter, and Margie Blanchard describe how servant leadership principles have played a role in their work lives and what they took away from the experience. In section four, Putting Servant Leadership to Work, viewers watched videos from current and former CEOs Garry Ridge of WD-40, James Blanchard of Synovus Financial, and Cheryl Bachelder of Popeyes Louisiana Kitchen as they explain how they used servant leadership principles in their organizations. Viewers also heard retired U.S. Army Brigadier General Jeff Foley describe how servant leadership principles guide mission and values in the military. In section five, Exemplars of Servant Leadership, viewers watched four contributing authors sing the praises of others who have impacted their lives through examples of servant leadership in action. 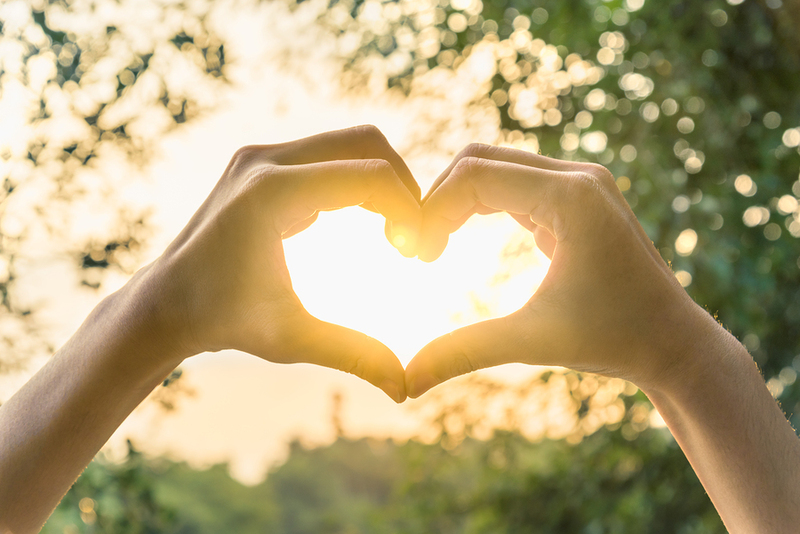 Rico Moranto, Guardian of the Culture at Waste Connections, shares an example about a colleague at work who modeled a serving heart focused on others. Richard Blackaby, President of Blackaby Ministries International talks about his father, Henry Blackaby, and the work he did turning around troubled churches. John Hope Bryant, founder & CEO of Operation HOPE, shares a story about his hero and mentor, Ambassador Andrew Young, and his relationship as a friend and colleague to Dr. Martin Luther King, Jr. And Marshall Goldsmith, best-selling author and the world’s leading executive coach, finishes with a wonderful story about former Girl Scout CEO Frances Hesselbein. Throughout the broadcast, Ken Blanchard shares personal stories about the people described in the videos along with takeaways and action steps. It’s a wonderful, encouraging two-hour event that will help you explore servant leadership principles and how they can be applied to create an organization focused on both results and people. The best news is that the two-hour event was recorded and is available to view for free, courtesy of Berrett-Koehler Publishers and The Ken Blanchard Companies. Use this Servant Leadership in Action Livecast link to access the recording. Interested in attending an upcoming free live event on the topic of servant leadership? 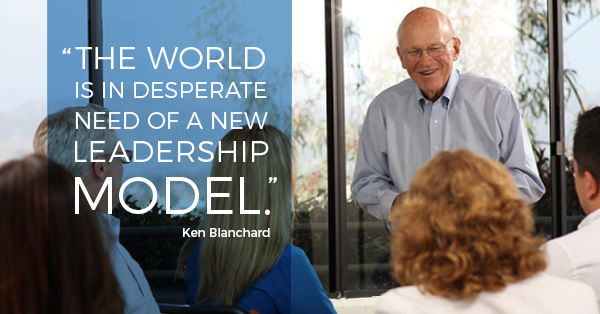 Join Ken Blanchard on April 3 for a one-hour webinar on Creating a Culture of Service. Blanchard will be sharing how to take a servant leadership mindset and turn it into a servant leadership skill set throughout your organization. You can register using this link. PS: To learn more about the new book Servant Leadership in Action: How You Can Achieve Great Relationships and Results, visit Amazon.com, Barnes & Noble, or your favorite online or local bookseller. The book features chapters from all the thought leaders mentioned in this article as well as more than twenty others including Brené Brown, Dave Ramsey, Henry Cloud, Patrick Lencioni, and Simon Sinek. David Witt is a Program Director for The Ken Blanchard Companies. He is an award-winning researcher and host of the companies’ monthly webinar series. David has also authored or coauthored articles in Fast Company, Human Resource Development Review, Chief Learning Officer, and US Business Review. When people hear the phrase servant leadership, they are often confused. Their assumption is that it means managers should be working for their employees, who in turn would decide what to do, when to do it, where to do it, and how to do it. If that’s what servant leadership is all about, it doesn’t sound like leadership to them at all. It sounds more like inmates running the prison, or managers trying to please everyone. An implementation, or operational, role—the servant aspect of servant leadership. The traditional hierarchical pyramid is effective for the leadership aspect of servant leadership. People look to their leaders for vision and direction. While leaders should involve experienced people in shaping a compelling vision, setting goals, and defining strategic initiatives, the ultimate responsibility remains with the leaders themselves and cannot be delegated to others. Once employees are clear on where they are going, the leader’s role shifts to the task of implementation—the servant aspect of servant leadership. The question now is: How do we live according to the vision and accomplish the established goals? Most organizations and leaders get into trouble in the implementation phase of the servant leadership process. With self-serving leaders at the helm, the traditional hierarchical pyramid is kept alive and well. When that happens, who do employees think they work for? The managers above them. The minute an employee thinks they work for the person above them for the implementation process, they are assuming the manager is responsible and their job is being responsive to that manager’s whims or wishes. Now “manager watching” becomes a popular sport and people get promoted based on their upward-influencing skills. As a result, all the energy of the organization is moving up the hierarchy, away from customers and the frontline folks who are closest to the action. Servant leaders know how to correct this situation by philosophically turning the traditional hierarchical pyramid upside down when it comes to implementation. When that happens, who is at the top of the organization? The frontline employees who work with the customers. Who is really at the top of the organization? The customers themselves. Who is at the bottom now? The “top” management. As a result, who works for whom when it comes to implementation? The leader works for their employees. This one change, although it seems minor, makes a major difference. The difference is between who is responsible and who is responsive. When the organizational pyramid is turned upside down, rather than employees being responsive to management, they become responsible—able to respond—and the manager’s job as a servant leader is to be responsive to them. This creates a very different environment for implementation. If a manager works for the employee, as servant leaders do, what is the manager’s purpose now? To help their employees accomplish goals, solve problems, and live according to the vision. Servant leadership is when a manager’s mindset and skill set are focused on serving others first. This new approach, combined with a clear strategic direction, creates a 1+1=3 environment where leaders develop great relationships, achieve great results, and delight their customers. Would you like to learn more about servant leadership concepts? Join me for a free online Livecast featuring 20 different authors, CEOs, and thought leaders from all walks of life. It’s a two-hour exploration of the new Servant Leadership in Action book I co-edited with Renee Broadwell, which goes on sale March 6. The event is free, courtesy of Berrett-Koehler Publishers and The Ken Blanchard Companies. More than 3,800 people are registered already. I hope you can join us. Use this link to register or learn more: Servant Leadership in Action Livecast. Several years ago, my friend Bob Buford wrote a great book called Halftime (Zondervan, 1997). One of the key points he makes is, later in life, most people like the idea of moving from success to significance—from getting to giving. But you don’t have to wait until your life is half over. If you want to find an environment where people at all levels can experience both success and significance, look for an organization led by servant leaders. Many people, as they go through life, focus mainly on success. To them, success is represented by wealth, recognition, and power and status. Now there’s nothing wrong with wanting those things, as long as you don’t think that’s who you are. But I’d like you to focus on the opposite of each of those things as you strive to move from success to significance. What’s the opposite of accumulating wealth? It’s generosity—of your time, talent, treasure, and touch (reaching out to support others). What’s the opposite of recognition? It’s service. And what’s the opposite of power and status? It’s loving relationships. If you focus only on success—wealth, recognition, and power and status—you will never reach significance. That’s the problem with self-serving leaders; they have a hard time getting out of their own way. But if you focus on significance—generosity, service, and loving relationships—you’ll be amazed at how much success will come your way. Take Mother Teresa, for example. She couldn’t care less about wealth, recognition, or status. Her whole life was focused on significance. And what happened? Success came her way. Her ministry received tremendous financial backing, she was recognized all over the world, and she was given the highest status wherever she went. Mother Teresa was the ultimate servant leader. If you focus on significance first, your emphasis will be on serving others—and success and results will follow. Life is all about the choices we make as we interact with others. We can choose to be serving or self-serving. Life constantly presents us with opportunities to choose to love and serve one another. That’s what servant leadership is all about. 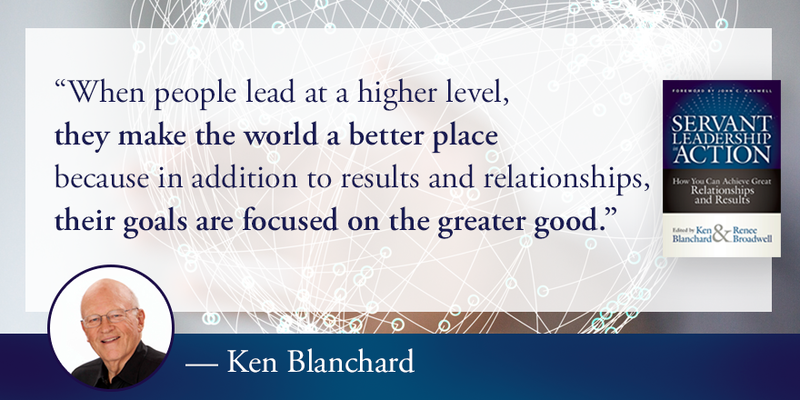 To learn more about servant leadership, read Servant Leadership in Action: How You Can Achieve Great Relationships and Results—a collection of 44 essays from today’s top servant leadership experts and practitioners, coedited by Ken Blanchard and Renee Broadwell. Available March 6. Preorder now from your favorite bookseller. Many years ago, I heard John Naisbitt give a speech on his book Reinventing the Corporation and was intrigued by a concept he called “Fortunate 500” companies. We all know about Fortune 500 companies that are ranked on revenue, profits, and market value. But John defined Fortunate 500 companies as organizations measured by the quality of service available to customers and the quality of life accessible to its employees. The most important part of this process is to decide what is most important to your company. 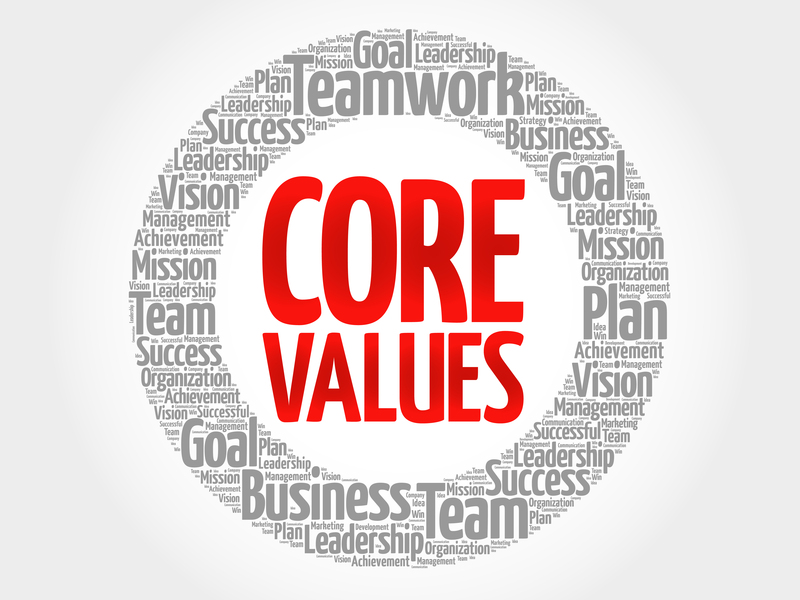 Once you gain that clarity and define your core values, you must constantly communicate them to your employees. Use the values as a guidebook for how you make decisions and operate on a daily basis to show employees that you are completely committed to them. And make sure that your internal business practices are aligned with your values so individuals and teams can function easily and not hit road blocks because an internal process doesn’t support the values. 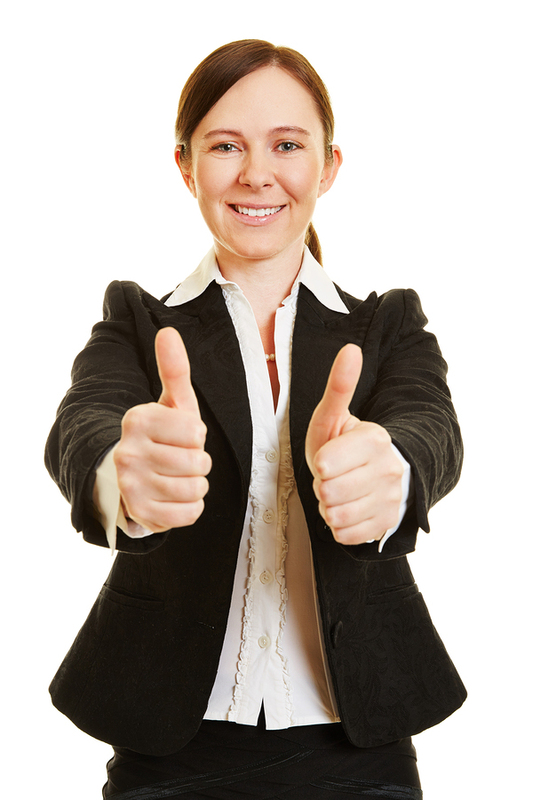 When you manage by values, you’ll have delighted customers who keep coming back, inspired employees who give their best each day, owners who enjoy profits made in an ethically fair manner, and suppliers, vendors and distributors who thrive on the mutual trust and respect they feel toward your company. We certainly found this to be true during the economic downturn of 2008-2009. It became clear to us in February 2009 that we would probably fall, at a minimum, 20 percent short of our revenue goals for the year. The first thought of some was that we would need to downsize—get rid of some of our people. While that would be legal, we didn’t think it was consistent with the rank-ordered values we had at the time. Our #1 value was Ethics—doing the right thing, followed by Relationships—gaining mutual trust and respect with our people, customers, and suppliers; followed by Success—running a profitable, well-run organization. To us, downsizing would focus on our #3 value but miss doing the right thing and damage our relationships with our people. As a result, we involved everyone at an all-company meeting and together figured out how to cut costs with a minimum impact on people’s lives. Fortunate 500 is a clever play on words but it is actually a very powerful concept—and perhaps even more important now than it was when I first heard about it. Today people, especially millennials entering the workforce, want to know that their work is worthwhile and they are contributing to a bigger cause. If employees share the common values of a company, they can achieve extraordinary results that give their organization a competitive edge.